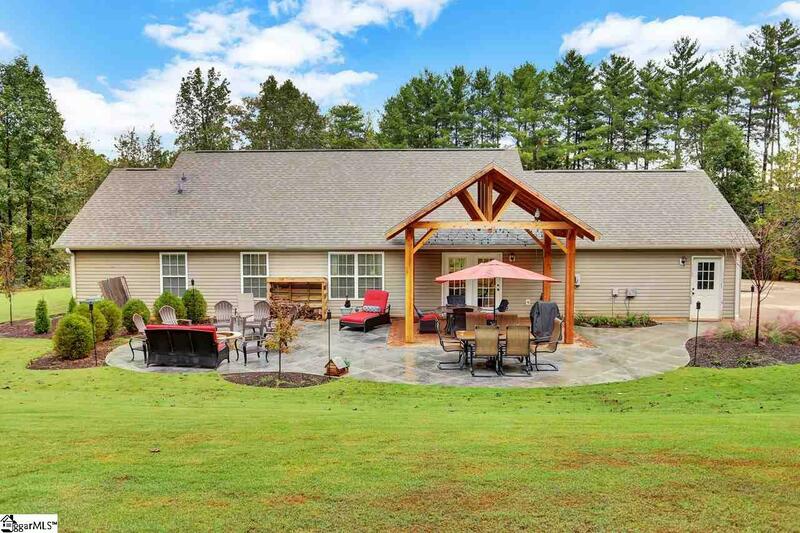 Home with land and separate workshop in Taylors! 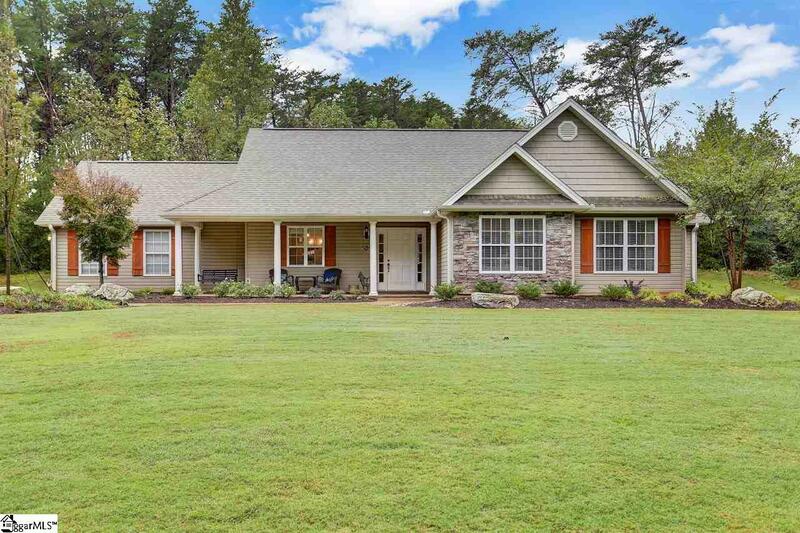 This is an immaculate, perfectly kept beautiful home, situated on two acres just minutes from Blue Ridge Middle School. The home has a large concrete drive, and an additional driveway leading to the back shop (with electric). So much detail and work in this home and land! 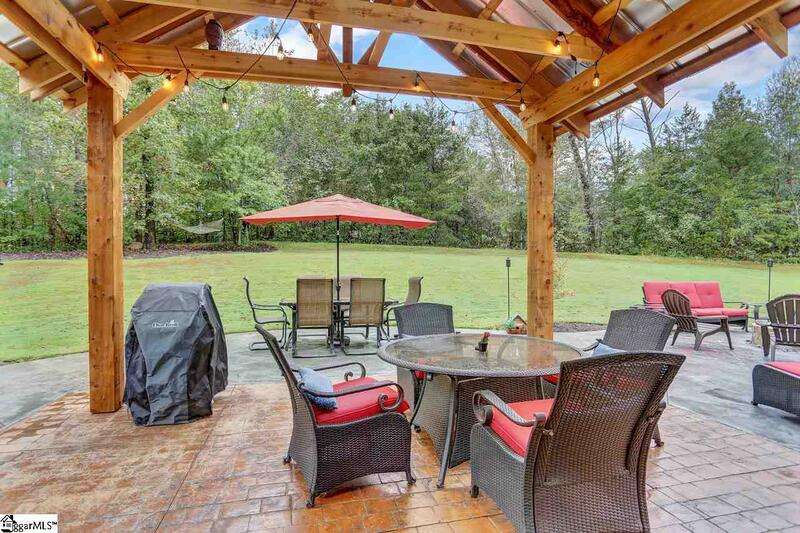 The back covered porch area is fantastic, with both rock salt and stamped concrete, a built in fire pit and custom built covered area. Around the home professional landscaping includes Tennessee Boulders and irrigation system. The roof is BRAND NEW, and within the last few years, sellers have completely updated the HVAC system, and put in all new septic lines. The property is the perfect mix of yard, shop space, and woodsits own little peaceful paradise. 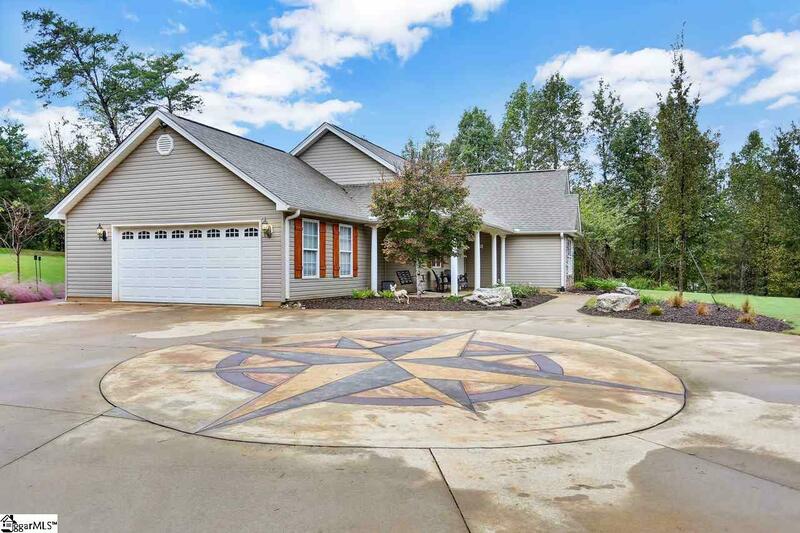 The home itself has so many little features you dont see often, from an oversized, side entry garage, to vaulted ceilings in several rooms, and an open layout that is inviting and spacious. Sellers had ALL bedroom closets custom done for maximum storage and organization as well!